My kids are big fans of Disney Junior, and have always loved the Imagination Movers. I know that they are going to be ecstatic to find out we are able to attend the upcoming show in our city! 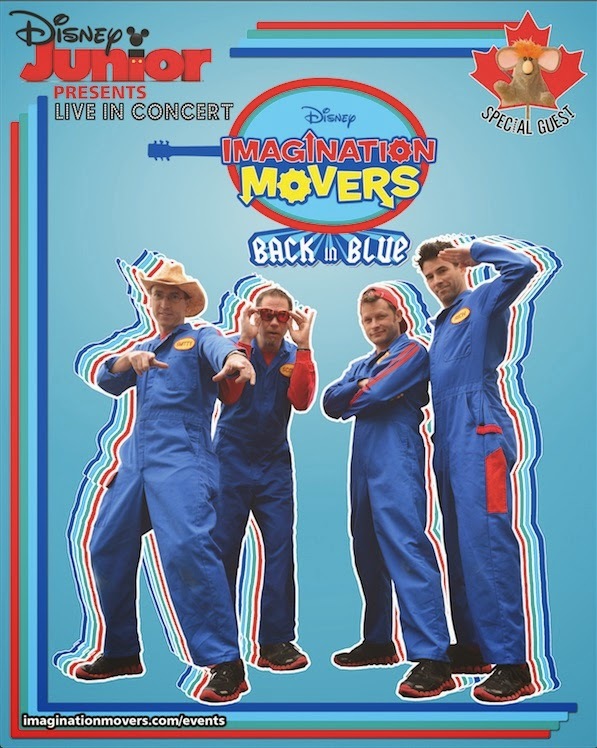 THE IMAGINATION MOVERS ‘BACK IN BLUE’ CONCERT TOUR! Toronto, May 2014 – This fall, Disney Junior and the Emmy Award-winning Imagination Movers will bring a thrilling rock concert spectacle to kids and parents across Canada. Stopping in 16 cities from coast to coast, the Imagination Movers ‘Back in Blue’ Tour kicks off in the west on Saturday, Sept. 13 in Victoria, BC, and concludes on the east coast on Thursday, Oct. 2 in Glace Bay, NS. The fun-filled show features the Movers’ trademark catchy pop rock, lots of audience participation, an insane number of high fives and even a healthy dose of flying toilet paper. There will be guitar solos, drum solos, corny jokes and even an appearance by the Movers’ little buddy, Warehouse Mouse. Tickets are currently available for purchase online through DisneyJunior.ca. The Imagination Movers ‘Back in Blue’ Concert Tour features bandmates Rich Collins, Scott Durbin, Dave Poche and Scott “Smitty” Smith in their iconic blue jumpsuits performing songs from the hit Disney Junior series and their chart-topping album “Back In Blue,” which debuted as the No. 1 Children’s Album on iTunes in Canada. Known for their energetic and interactive live performances, Imagination Movers have been entertaining and engaging parents and children alike for more than 10 years with their upbeat music and catchy lyrics that encourage creativity, emphasize problem-solving skills and reinforce positive self-esteem. After becoming a hometown sensation in New Orleans, LA, the high-energy band partnered with Disney to create an Emmy-winning series. The popularity of the show helped the Movers achieve international success. They have performed across North America, Europe and Asia. The band has appeared on “Good Morning America,” “Live with Regis and Kelly” and “The View” and twice at the White House. Imagination Movers ‘Back in Blue’ Concert Tour Canadian stops can be found here. another lucky reader will win a MOVERS BUNDLE PACK - digital download of the Movers’ latest album: Back in Blue, a Movers t-shirt, and an autographed postcard to be mailed to the winner. For more chances to win, check out these other great Canadian Blogs that are hosting giveaways! You may enter on many blogs, but are only eligible to win from one. Tales of Mommyhood will be attending the show free of charge in exchange for hosting this giveaway. Read our Disclosure Policy. My boys are both huge mover fans! Our little dude just discovered the Movers a few weeks ago, but now he's completely obsessed! Can't wait to see the concert! I would pick Calgary. Thank you! I would like to win this for my 3 year old daughter. I would choose Vancouver, BC. Thank you! I would pick the show in Halifax, NS. I would love to win this for my son, who is 2, and absolutely loves this show. I would want to win for my daughter. I'd love to catch the Winnipeg show! My son would go nuts for an IM prize pack! My little guys would love this prize pack! I would choose Peterborough Ontario. 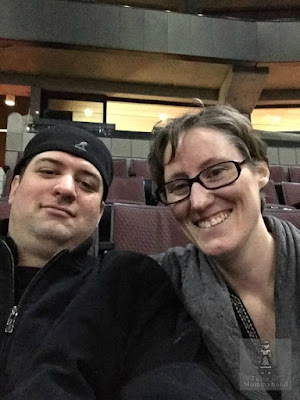 My kids and I have been waiting for them to come to NS only to not be in a financially good spot to be able to go. Thank you so much for this opportunity. We would feel very blessed as we ate all fans!!! Their music is awesome! Would love to win it for my daughters! My daughter is who I would win this for! My granddaughter would love to win this. I'd choose Winnipeg if I won. I'd love to win this for my son..... he's my huge Imagination Movers fan! My son and daughter who are 4. Thanks for the chance to gift this to them. Mississauga ON - My son would LOVE this!!! Vancouver! Our girls just announced this morning they'd love to go! Definitely we'd love to win for our girls. I would love to win for both of my kids!